Provide comfort for the family of Raymond Boccaci with a meaningful gesture of sympathy. 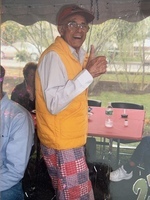 Boccaci, Raymond, 98, of Plymouth, passed away on April 9, 2019 surrounded by his family. He was born in Plymouth, the son of the late Marina (Paterlini) and Natale Boccaci. Ray graduated from Plymouth High School and joined the US Army. He was sent to Italy to be an interpreter. After leaving the Army, he returned to Plymouth, got married and started his family. He got a job working as a salesman for L. Knife and Son, where he worked for 48 years, and at night he ran "The Rat Hole" in North Plymouth. Ray loved many things, including golfing. At the age of 80, he could shoot his age in golf. 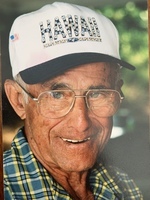 He loved playing cards with his gang at the Country Club, he loved to dance, he loved to traveling, taking his family on two cruises, one to Alaska and one to Italy; he loved the Red Sox, he was in St. Louis when they won the World Series in 2004, he loved going out to eat, he always loved the waitresses he met at breakfast, lunch and dinner, he loved yard work and gardening. 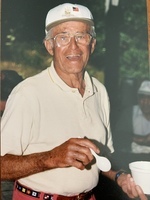 Ray mostly loved spending time with his family, surrounded by the people he loved most. Ray was preceded in death by his wife, Eva (Bagni). He leaves behind his children Janet Bridge and her husband Ross of Plymouth, Gary Boccaci of Plymouth and Robert Boccaci of Plymouth. He leaves behind three grandchildren; Keith (and Melissa) Boccaci, Keri (and Kris) Boccaci-Trube and Mark Bridge. He was the great grandfather "Nunno" of two; Corie Boccaci and Macy Boccaci. He also leaves behind his sister, Annie Govoni of Plymouth. He is preceded in death by his sister Nellie Scagliarini. Funeral arrangements will be under the care of the Bartlett Funeral Home, 338 Court Street, Plymouth. Calling hours will be on Monday, April 15th from 4-7 pm. A funeral mass will be held at St. Mary's Church, 313 Court Street, Plymouth at 11:00 am on Tuesday, April 16th. Interment will follow at St. Joseph's Cemetery. The family would like to offer a special thank you to Plymouth Harborside and to Cranberry Hospice for their exceptional care they took of Ray.